With a myriad of shining serving vessels and prep tools in their wings, Avanti fly in to your kitchen to inspire your everyday cooking. Their material of choice is gleaming stainless steel, which not only looks fabulous, but is robust enough for the rigours of kitchen life. 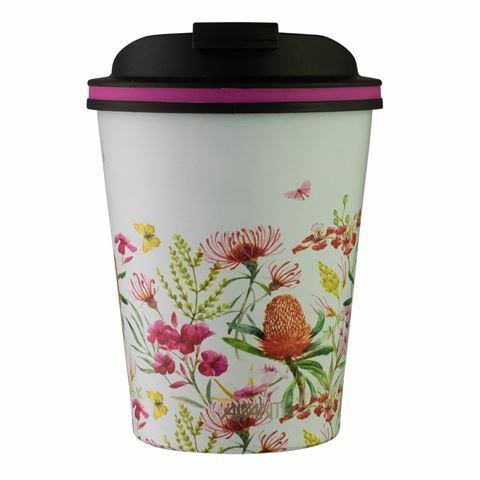 Minimise your environmental impact while sipping in style with Avanti’s collection of Go Mugs. Available in a range of sizes and stunning finishes, each Go Mug is crafted from high quality stainless steel and boasts a double-walled, insulated construction that keeps drinks hot for 8 hours and cold for an impressive 16 hours. Designed to fit most cup holders, each travel mug comes with a sturdy lid that stays securely in place thanks to the mug’s interior screw thread. Insulated mug keeps contents hot for 8 hours and cold for 16 hours. Comes with a durable lid. Lid stays secure thanks to the interior screw thread. Designed to fit most cup holders. Great alternative to disposable coffee cups.